Recipes & Resources — FreshStep Nutrition Co.
Want to track your intake and activity? Download your food and activity logs for FREE! Short on time but still want a tasty, home cooked meal? 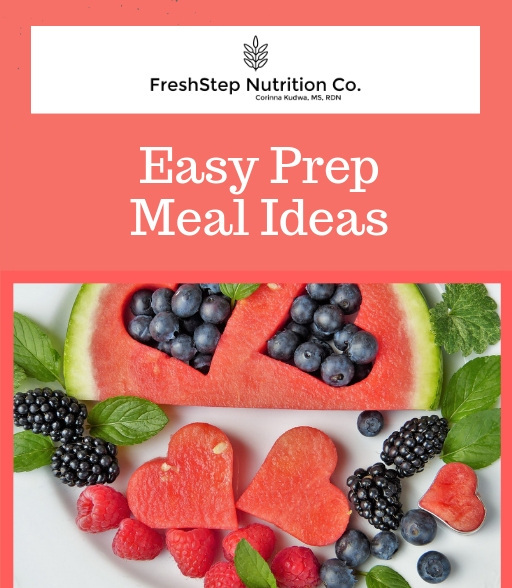 Download your Easy Prep Meal Ideas ecookbook featuring tons of simple recipes that require minimal to no prep so you can have a nutritious snack or meal in minutes!